A new theatre and dance production created by Black Country Touring and Sonia Sabri Company. We are looking forward to our collaboration with Black Country Touring, creating a brand new production OCASIONALLY WE SKYPE. This exciting new project is part of the South Bank Centre's Alchemy Festival 2015. Please see below links for further information. Globalisation and technology have made us more connected than ever. We have so many ways to communicate with other people, so why do we still live in our own separate worlds? Occasionally We Skype asks how the new telecommunications have changed family life around the globe. What happens when the accident of one person’s birth combines with another’s reality in the digital age? 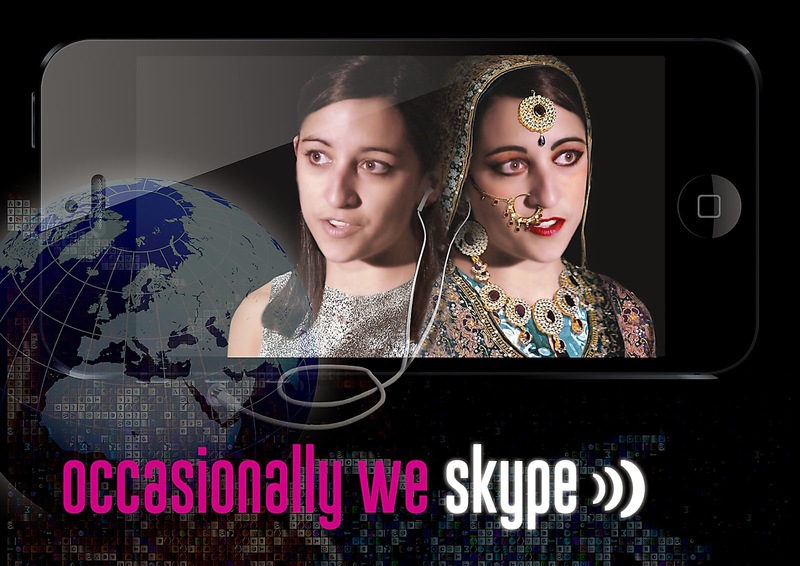 In Occasionally We Skype, the traditional meets the new. It combines contemporary Kathak dance, spoken word and theatre with live music and digital projection – and features performers armed with iPhones. This is a multimedia show for a multimedia era. This is a touring partnership project between Black Country Touring, Cast Doncaster, Oldham Coliseum and Southbank Centre. It is generously supported by Arts Council England and the Esmée Fairbairn Foundation.